Mongolians are heading to the polls today to participate in the 6th Parliamentary election since the country embraced democracy in 1990. Election day is a national holiday here, which means that businesses are closed in an effort to encourage voter participation. In Ulaanbaatar, voting is easy. There are several stations where citizens can cast their ballots. It’s a bit trickier in the countryside, however, where herders live dozens of miles away from the nearest polling place. 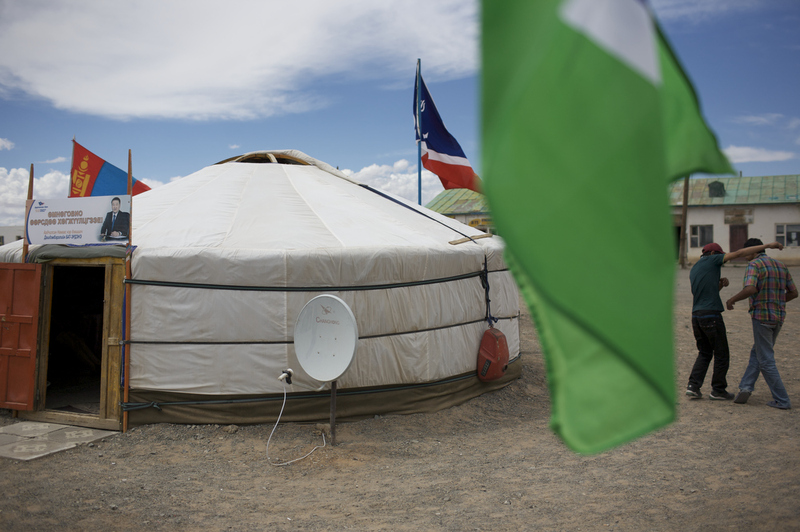 The two major parties, the Mongolian People’s Party and the Democratic Party, are both campaigning on how they will spend Mongolia’s rising income from mining projects on the people and developing Mongolia. New roads, a subway, pensions – these are among the lofty promises, which, it seems not many average citizens take very seriously. 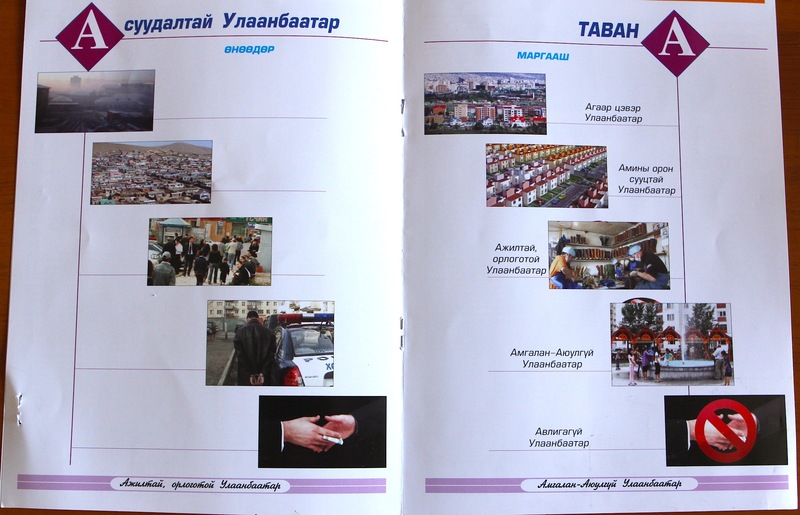 A campaign flyer for a Democratic Party candidate shows the Ulaanbaatar of today and the Ulaanbaatar he promises for tomorrow.